Jake graduated from the University of Bristol in 2016 with a master’s degree in joint Maths and Physics. His background is in theoretical quantum optics and his research interests include quantum photonic information processing for secure communications. His final year undergraduate project involved modelling a phase shift in light scattered from a quantum dot trapped in a micro-cavity, which is important for achieving an effective spin-photon interface for quantum information processing. In his spare time Jake enjoys swimming and is currently learning how to play drums. 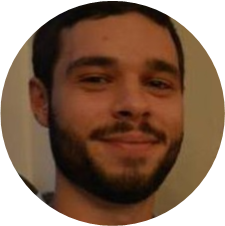 Andrés graduated from University of Valle (Univalle, Colombia) with a MSc in Physics in 2016 working with some scenarios for the activation of Quantum Nonlocality for two-qubit systems. He had previously worked for his BSc in physics with the formalism of Quantum Ontological Models and the Pusey-Barrett-Rudolph (PBR) Theorem. Andrés is always going to be interested into theoretical aspects of quantum theory and how profound these could be, but he is also looking forward to do experimental work in order to witness these peculiarities of the quantum world. He enjoys swimming and playing board games, fantasy games in particular. Jonathan graduated from the University of Sheffield in 2016 with an MPhys degree. As an undergraduate he worked on projects in both experimental optics and foundations of quantum mechanics. His final year project under the supervision of Dr. Pieter Kok involved simulating linear optical quantum gates, investigating the sources of error based on different implementations. This has since been published in Physical Review A. In his spare time, Jonathan enjoys cooking, music and pub quizzes. Eri graduated from G30 program in Nagoya University in 2017. Before joining gravity lab in the last year, she did internship on developing a detector to measure the lifetime of neutron. As she studied about quantum information loss problem in black hole she got especially interested in quantum information theory. She did a report on how quantum entanglement contributes to spacetime forming later. While interested in the fundamental theoretical aspect of quantum entanglement, she is also interested in the application of quantum information theory such as realisation of quantum computer. She is enthusiastic to try on new thing such as quantum photonics as well. Friederike studied Physics at the University of Glasgow, where she graduated with a first class MSci in 2017. In her first and second year there, she took Computing Science courses next to her Physics ones, giving her a solid basis in Computing. During her degree she did projects in various areas, from Solid State to Particle Physics. The project that captured her interest most, though, was her fourth year project where she compared Public Key Encryption with Quantum Cryptography and since then she has had a strong interest in Quantum Information. Next to academic work, she enjoys hiking, crafting and playing the piano and fiddle. After completing his undergraduate degree in Electronics and Communication engineering, Ankur developed a keen interest in quantum physics. He joined the physics department of the Indian Institute of Space Science and Technology and graduated in 2017 with a Master’s degree in Solid State Technology. In his final year he worked on the project entitled “Quantum dynamics in the bosonic Josephson junction”, involving the simulation of quantum dynamics of Bose-Einstein condensates in a double-well potential described by the Bose-Hubbard Hamiltonian. His main interest in the CDT is in nanophotonic devices for quantum computing. In his spare time, he enjoys playing basketball and table tennis. Lana graduated from Imperial College London in 2017 with a first class MSci in Mathematics. Her final year project looked at quantifying the amount of entanglement in a quantum system using the Best Separable Approximation. As someone with a theoretical background, her main interests are in quantum information theory and computing, but Lana is also looking forward to trying some experimental work. In her spare time she enjoys reading, especially fantasy and science fiction. David graduated from the University of Cambridge in 2017 with first-class bachelor’s and master’s degrees in Natural Sciences. Completing a research review into invisibility cloaks initiated his interest in optics and its possible applications to futuristic technologies. His master’s project studied novel techniques to analyse structures of debris disks around stars without recourse to parameterisation, working with Prof. Mark Wyatt in the Institute of Astronomy. An introduction to the area of quantum engineering came in the form of an internship at BT (British Telecommunications), where David set up a quantum key distribution (QKD) demo in collaboration with ID Quantique (one of the CDT’s industrial partners). He looks forward to being involved with cutting-edge research at Bristol and applying fundamental physics to develop new technologies. In his spare time David enjoys playing tenor and alto saxophones. Ben graduated from the University of Sussex in 2016 with a BSc in Physics. In the final year of the programme, he undertook an experimental research project in Prof. Winfried Hensinger's group where he worked on stabilising an ion trap experiment from magnetic field noise, which leads to decoherence of trapped-ion qubit states. This led him to pursue further research experience in ion trap quantum computing and electronic instrumentation during his Frontiers of Quantum Technology MSc project, which focused on preparing electronics to deliver radio frequency and DC voltages to an ion trap for a new experiment. His interests include reading, video games and films. 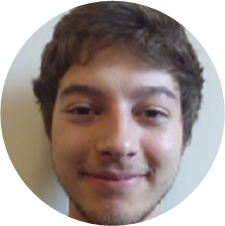 John completed a four year degree in Mathematics in 2017, but has had a long standing interest in physics and electronics. In his final year project he studied the construction of orthogonal bases of wavelets for use in the signal processing. He finds the theoretical side of quantum information fascinating, but is more interested in the practical aspects of the new and potentially revolutionary field of quantum technology and devices. Dominic graduated from Swansea University in 2017 with a first class MPhys degree. During his time at Swansea University he took a keen interest in Quantum Information Processing and Quantum Optics. This lead him to undertaking a final year MPhys project in ‘Topological Quantum Error Correction’. This involved simulating quantum colour codes of varying distances to obtain code correction statistics for a range of physical qubit error probabilities, which is essential to consider when dealing with noise in many-qubit quantum systems. 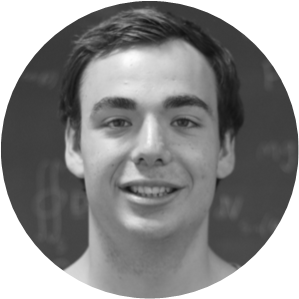 Primarily a theorist prior to joining the CDT, Dominic is very much looking forward to experiencing the experimental side of quantum physics alongside the many outreach opportunities available. Aside from Physics, Dominic is a regular gym-goer, avid pub quiz enthusiast and occasional rugby player. Oliver graduated from the University of York in 2017 with a first class masters degree in Theoretical Physics (MPhys). His final year project “Light, atoms and losses: recipe for quantum state engineering” involved solving a master equation for the steady state solutions of an array of lossy, light-matter systems in the ultra-strong coupling regime. His interests include quantum optics, open systems and both traditional and quantum computer hardware. He enjoys cycling and watching films- he was a projectionist at York Student cinema for 2 years. Oliver can easily be picked out in a crowd by his tendency to wear odd socks.